4. Can be design with nickel plated ,gold plated ,rose gold plated on the surface. 5. Slanted tip with reasonable length for use ,also have pointed ,rounded ,and squared. 2. How long can you offer the samples9 Answer: 3~5 days after the deposit payment is confirmed. 1. Our applicator which made of high quality stainless steel are specially designed for eyelash application. 2.They are very light & easy to handle when applying eyelashes. 4.Using the correct tweezers, it will help to reduce overall Application time. Now, we have already a professional team in production , research, sale and after-sales. Professional with best quality and best service is our main massion. Q5: What about lead time for mass production 9 A: Some products in stock, we can ship out right away. 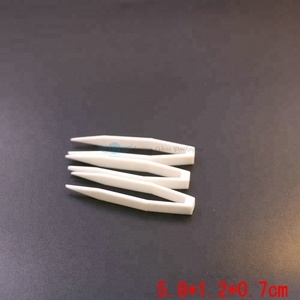 Alibaba.com offers 9,861 custom tweezers products. About 36% of these are eyebrow tweezers, 29% are false eyelashes. A wide variety of custom tweezers options are available to you, such as rounded, pointed, and slanted. You can also choose from free samples, paid samples. There are 9,861 custom tweezers suppliers, mainly located in Asia. The top supplying country is China (Mainland), which supply 100% of custom tweezers respectively. Custom tweezers products are most popular in North America, Western Europe, and South America. You can ensure product safety by selecting from certified suppliers, including 746 with ISO9001, 631 with Other, and 376 with ISO13485 certification.